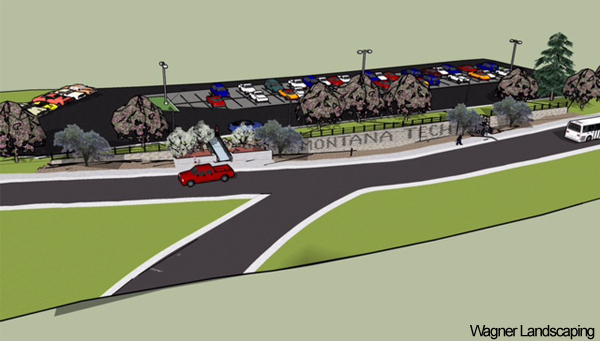 The purpose of the Landscape Master Plan is to provide a charter for planning, designing, developing, and maintaining the exterior space of the Montana Tech campus that reflects our unique history and is grounded in the constraints of our climate, maintenance, and budgetary limitations. A rendering of a possible landscaping project between the Library parking lot and Park Street. Image courtesy of Wagner Landscaping. Robert Pal is committed to assisting with these projects.